The year is 1939. A small girl travels from her home to Himmel Street, Molching. Nazi Germany is on the brink of something big and Liesel is going to live with her new parents, her old ones cannot be trusted. One the way her younger brother dies. It is the first death Liesel sees. On the way she steals her first book. This is when her career begins and it will not end for a long time yet. The Book Thief is one book I have been meaning to read forever. It is one of my sisters favourite books and everything I have spoken to about it loves it. I now understand exactly why that is. As I sat up late into the night crying into my many tissues finishing the book I knew that writing this review would be terribly difficult. The book was incredible, it pulled at my heart strings, it was beautiful, yet awful at the same time. I just can’t put into words how many different emotions ran through me whilst reading the book and just how much the characters meant to me. I loved everything from the writing, to the narration, the characterisation to the style of the book, it all captured me and I honestly just couldn’t put it down. The story wavers between beautiful things and horrible things – such as was life in that time for Germans, and other nationalities of course! – There are glimpses of beauty amongst horror and there is laughter in the worst of times. The befriending of Max, the Jew, was so sweet and kind and loving but at the same time you knew just how much danger the family were in if they were caught harbouring a jew. The same went for the stealing of books and other things, there was an adrenaline rush but you couldn’t help but worry for Rudy and Liesel and hope they would be ok. In my years at sixth form college I did a unit on war literature, that was 06/07 and unfortunately though The Book Thief came out in this country in 2007 it was published too late to be included in the reading and obviously right at the start my teacher was probably not aware of its merits. I am seriously hoping that if that module is still ongoing at my sixth form college they have included this book to the reading list because I would have sat up and taken more notice of it than any other book. The material I read back then really did stick with me and I was reminded of some of the horrible things in those books as I read The Book Thief, but whilst it was awful it really was beautiful and brilliant too. I think my favourite part of the book was the fact that it was narrated by Death and the ongoing style within the pages. The idea that Death was reciting the story from a book that Liesel wrote was brilliant and his little side notes being in bold centred on the page really got to me in a good way. The inclusion of Max’s stories was fantastic too and I really enjoyed reading those. I am not going to forget The Book Thief in a hurry and really do urge anyone who hasn’t read this book to go out and read it. 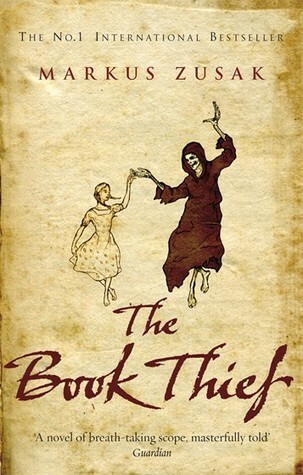 The Book Thief was published in 2007 by Black Swan, a Transworld Publisher imprint. My copy was purchased personally. Glad you loved The Book Thief too – such an incredible book. I saw the film recently and thought it was good, but of course the book is so much better.